Seks grunner Hellas burde gå konkurs. Av Michael Schuman. Six reasons why Greece should default – The Curious Capitalist – TIME.com: «As global stocks tank over rising fears of a double-dip recession, one country at the center of the storm has never exited the recession – Greece. Amid its increasingly severe debt crisis, the Greek economy is in its third consecutive year of contraction, and, under pressure to slash state spending and stabilize its national debt, there is little hope that the situation will turn around any time soon. 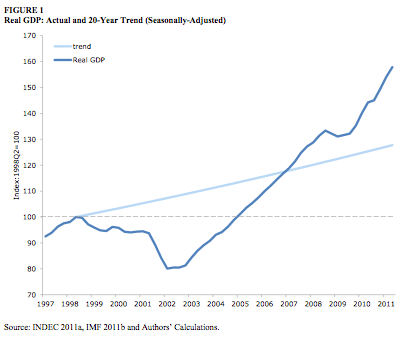 The IMF doesn’t expect positive annual growth in the country until 2013! Earlier this week, the government approved yet another package of austerity measures, including cuts to pensions and public sector workers and a program to tax the poor. The measures are an attempt to appease Greece’s creditors in the euro zone, who are demanding even harsher steps in return for continuing a $150 billion bailout given to Athens last year. Without those rescue funds, Greece could default on its debt. The prevailing wisdom concerning Greece is that a default on its $400 billion of sovereign debt would be a catastrophe for the world’s financial markets and help speed the global economy towards a renewed recession. We can’t rule out that possibility. European banks are already under pressure (watch for more on that in this space), and losses inflicted by a Greek default, though unlikely to topple European banks, could heighten concerns about the health of Europe’s financial sector, sending global markets into turmoil, worsening the euro debt crisis, and leading to something truly ugly. That would especially be the case if panicky investors fled the bonds of other indebted euro zone countries, like Italy and Spain, possibly causing the collapse of the monetary union. None of this is certain, of course, but we can’t predict how the global economy would react to a Greek default, especially with sentiment already so weak. The general thinking is: Why take the risk? Keep bailing out Greece. The counter argument, though, is that we’d all be better off if Greece just defaulted. I’ve made the case before that a continued bailout of Greece was a bad idea, and the more I watch what’s happening in the Greek crisis, the more I think Athens needs to just throw in the towel, default, and start over. First, a Greek default is inevitable. It is not a matter of if, but how. A default is built into the terms of the proposed second bailout package, in which private creditors are expected to swap or roll over their holdings of Greek bonds, taking a loss in the process. That would be an “orderly” default, perhaps, through which the process could be carefully controlled to minimize the impact on financial markets compared to a “disorderly” default, in which Greece just says: “We won’t pay!” But it is still a default. Second, because of that reality, investors are already assuming Greece will default, and are preparing for it. I’ve argued in the past the Greece is not Lehman Brothers, and its default would not have the same disastrous effect on the global economy, to a great degree because there would be no shock value from a Greek default, as there was with Lehman. Greece has been on an obvious downward spiral for nearly two years now. Its one-year bonds are trading at a yield well over 100% — a clear indication investors believe a default is coming. Since the markets are already anticipating a default, there isn’t as much downside in actually having one. Third, the reason everyone assumes a default will happen is that the bailout program is not working. It has been 17 months since the first bailout of Greece in May 2010, and the situation in the country has only worsened. Its debt level is not under control, contagion hasn’t been squashed, and there is no hope that Greece can return to private capital markets for funding at any point in the foreseeable future. There is a high probability that the EU is simply throwing good money after bad by continuing the current strategy. Fourth, the main reason the bailout is failing is that no one believes that Greece can fix its finances and reform its economy under the austerity program imposed by the terms of the rescue. Greece is already missing its budget deficit targets, even with all of the cutting and tax hikes. That’s because the adjustment demanded is simply not politically, socially, or even mathematically possible. Since the austerity program is causing the economy to shrink, reducing debt and deficits is just that much more difficult. You end up like a dog chasing its tail. Due to the contraction of GDP in the first half of the year, economist Ken Courtis points out that to keep its government debt to GDP ratio flat, Greece would have had to reduce its debt by an (annualized) 8.3%. “In most languages this would be called impossible,” Courtis comments. Increasingly, it appears the only way out is through a true debt restructuring – the type of process triggered by a default. Illiquid but potentially solvent economies, such as Italy and Spain, will need support from Europe regardless of whether Greece exits (the euro zone); indeed, a self-fulfilling run on Italy and Spain’s public debt at this point is almost certain, if this liquidity support is not provided. The substantial official resources currently being wasted bailing out Greece’s private creditors could also then be used to ringfence these countries, and banks elsewhere in the periphery. Sixth, the bailout program is pushing Greece towards complete economic and social turmoil. The economy is practically in free fall – GDP shrank 7.3% in the second quarter, after an 8.1% contraction in the first. Protesters are regularly out on the streets. Unemployment stands at 16%. And there is no light at the end of the tunnel. Yes, the Greeks made a mess of their economy, and now they have to pay the price of fixing it. But at the same time, almost the entire process of adjustment has been imposed onto the Greeks. There has been an attempt on the part of the euro zone leadership to protect Greece’s creditors as much as possible, mainly to hold off bailouts of the banks themselves. Though private sector creditors will absorb losses as part of the second bailout program (assuming it happens), Greece in the end is getting very minimal debt reduction in the process. Roubini calls the deal “a rip-off” because the amount of reduction is “close to zero.” So the current strategy is cruel, and in my opinion, simply unsustainable. Bare å lese grunn nummer 6 er en grøsser. Spiegel Online har en tredelt serie om tyske planer for Hellas. Verdt noen minutters lesing. Euro-Zone Exit Scenarios: Germany Plans for Possible Greek Default – SPIEGEL ONLINE – News – International: «The rest of the euro zone is losing patience with Greece. German Finance Minister Wolfgang Schäuble is no longer convinced that Athens can be saved from bankruptcy. His experts at the Finance Ministry have been working on scenarios exploring what would happen if Greece left the euro zone. By SPIEGEL Staff. Herman Van Rompuy is an influential man in Europe. He is already president of the European Council, the assembly of the European Union’s heads of state and government. Soon he will also serve as the chief representative of the euro zone, if all goes according to plan. Van Rompuy’s new role as «Mr. Euro» is a highly prestigious position. German Chancellor Angela Merkel thinks highly of the unassuming Belgian politician, who conceals a propensity for toughness and efficiency behind his seemingly humble appearance. One of Merkel’s European counterparts felt the brunt of Van Rompuy’s unconventional charm last Monday, when he took Greek Prime Minister Georgios Papandreou to task in a telephone conversation. The representatives of the European Commission, the European Central Bank (ECB) and the International Monetary Fund (IMF), known as the troika, had left the crisis-ridden country in protest a few days earlier, because the Greek government had, once again, circumvented agreements it had made. In European capitals and at the European Commission, some are beginning to wonder whether the efforts of the last year-and-a-half were in vain. The partner countries have already provided Greece with €110 billion ($152 billion), and a second bailout has already been agreed upon. But Europeans are now beginning to realize that they have spent a lot of money for nothing. The disappointment runs particularly deep in Berlin, where the government’s crisis-management policy has clearly been going around in circles. In the beginning, the chancellor said that the Greeks ought to help themselves out of their own crisis. Then came the first and subsequently the second aid package. The new approach, the government said, was to rescue Greece so that the other debtor nations would be spared. Now the Germans have come full circle, and the prevailing emotion is fear of a never-ending debacle in Athens. «Enough is enough,» says one senior government official, adding that Berlin has lost patience with the Greeks. With a mixture of resignation and fatalism, Merkel and Schäuble are facing up to the inevitable and thinking the previously unthinkable: Greece is going bankrupt, and not even its withdrawal from the monetary union can be ruled out anymore. The motivation here is to send a signal, not only to Berlin’s European partners, but also to skeptical politicians in Germany’s coalition government. The message is that Europe also has an alternative to helping: If necessary, it can also withdraw its help. Finance Ministry officials have already calculated the consequences. Last week, an envoy from Berlin presented the results to Germany’s partners in Brussels. Either option would involve a haircut, meaning that Greece would only service a certain share of its debt, such as 50 percent. This would translate into significant losses for Athens’ creditors, like the European Central Bank (ECB), other European Union countries and banks, insurance companies and financial institutions throughout Europe. Schäuble’s envoy presented his Brussels audience with the results of the German Finance Ministry’s simulations, and said that the goal should be to contain the damage caused by these losses. The German plans focus on two instruments. First, Schäuble’s officials advocate the use of preventive credit lines, which would involve the EFSF issuing bridge loans to financially weak countries. Second, they want to provide financial injections for banks to stop them getting into difficulties. Entire countries and their banking sectors could be protected with the two instruments, Schäuble’s man in Brussels argued. The loans would help Italy and Spain, but also small countries like Cyprus, who could find themselves unable to borrow money from fearful investors following a Greek bankruptcy. 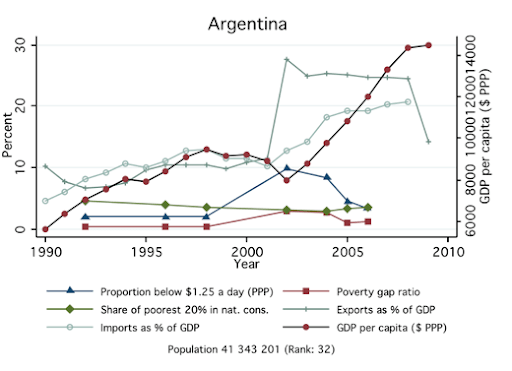 Argentina gikk konkurs i 2001 og slikt skal man virkelig prøve å unngå. Still deg i 1990 og tegn en imaginær trendlinje for BNP. I årene mellom 1997 og 2008 kan du virkelig fargelegge ut rommet under kurven.